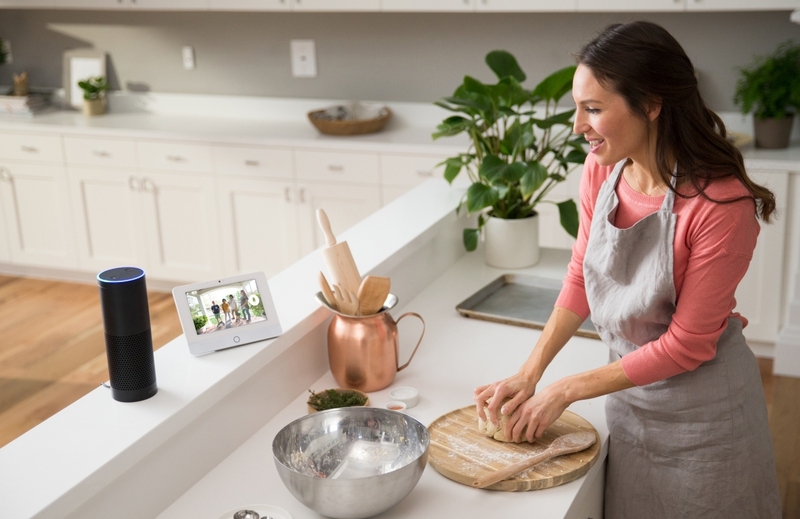 Amazon has added a number of new members to the Echo family, but the original device remains mostly unchanged in the two years it’s been on the market. According to Engadget, that’s going to change this year as the company looks to up its game with a new Echo smart speaker featuring a more premium design to fend off newer entrants like the Apple HomePod. The new Echo will reportedly be shorter and slimmer than the original, almost as if it were three or four Echo Dots stacked on top of each other, Engadget’s source claims. The design will also be smoothed out, with rounded edges and a fabric covering of some nature. On the hardware front, Amazon is packing in several tweeters, instead of just relying on one large tweeter and a woofer. This is presumably in response to the HomePod, which features seven tweeters, and sounds better than the Sonos Play:3 and the Echo. The report claims some improvements to the Echo’s microphone technology are in order, too. The device is definitely long overdue for an upgrade especially in light of its new competition. That said, the $50 Echo Dot is currently the best-selling Echo product, suggesting people are more interested in getting access to its Alexa assistant for cheap over the speaker functionality. With that in mind, it’ll be interesting to see how Amazon positions the new smart speaker. The original Echo is currently $180, while the screen-toting Echo Show is $230. Meanwhile, Google’s Home smart speaker is just $130 and the Apple HomePod will be the more expensive of the bunch at $350 but it won't come out until December.